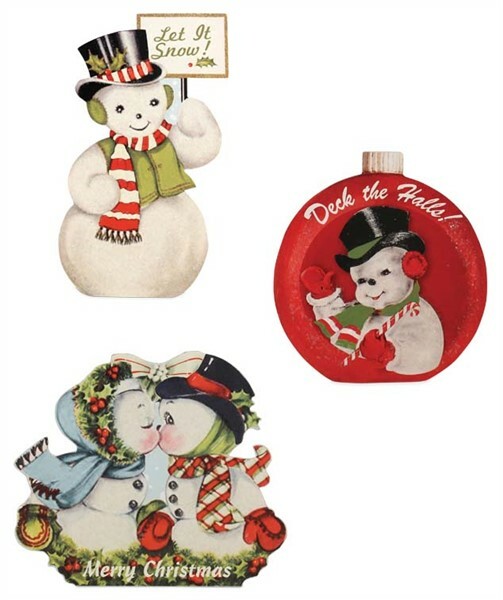 The cutest retro snowmen ever! They are all in the holiday spirit and will brighten your home decor. These are great when there are young children around...they can touch and not break. Made of MDF with retro vintage images, decoupaged and glitter. They are approx 5.25" x 6", 6.5" x 3.5", and 6" x 5.5". Choose your favorites!